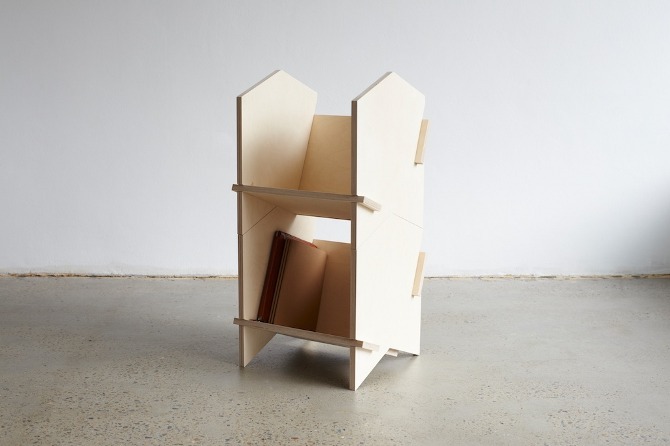 A stacking, modular shelf made from four pieces of precision milled Birch-ply. 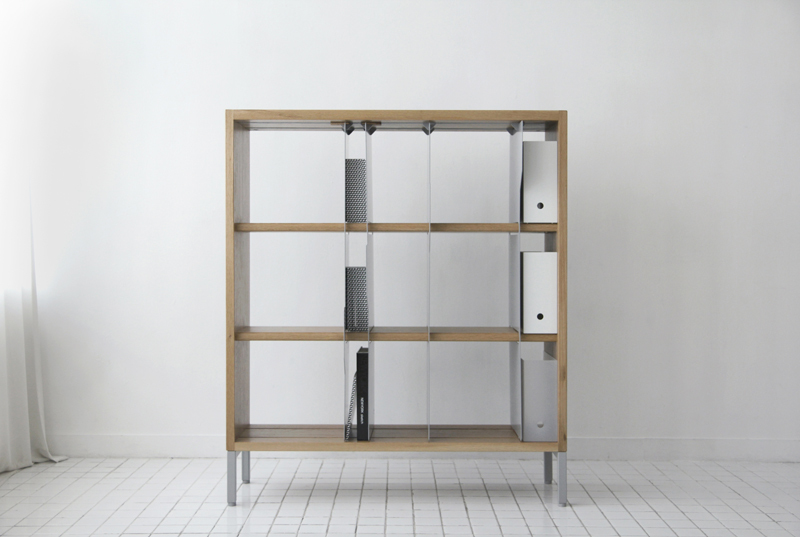 The shelves can be used as a single unit for magazines, books and files, or stacked in several configurations. The maximum spine length for stacking is 117mm. A bookcase with four sliding tabs (vertical panels) which allows the user to organize books in various ways. 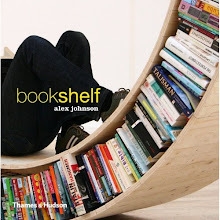 By repositioning tabs, zones for different types of books can be created. 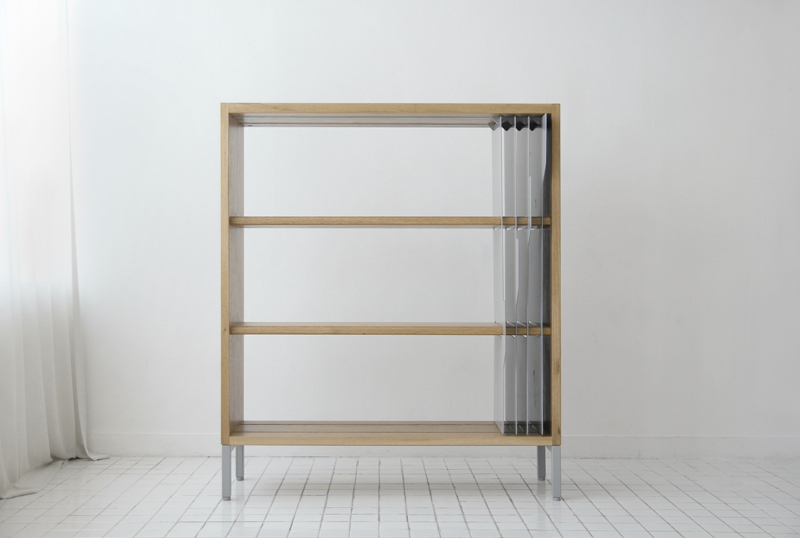 At the same time, it will naturally create various looks depending on the placement you choose. The PENGUIN LIBRARY wallpaper is a collage of front covers of those iconic early paperbacks from this famous publishing house and includes Ariel, the very first Penguin paperback published in 1935. The book covers were chosen for their diversity of colour and to illustrate the breadth of Penguin’s publishing backlist. Great care was taken in the design to truly represent the original paperbacks in all their, sometimes well-read and a little worn, glory. 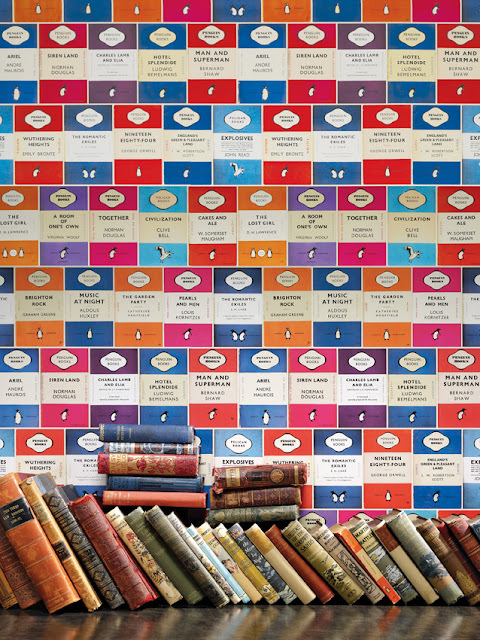 The resulting PENGUIN LIBRARY wallpaper is a glorious colourful ‘conversational piece’ which we hope will be received with as much affection as the books themselves.